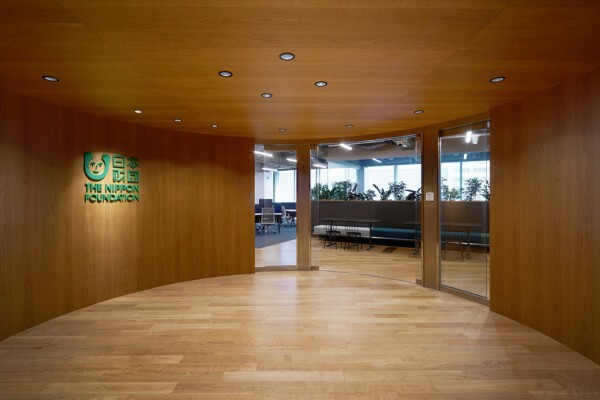 We designed the new offices for The Nippon Foundation, an organization dedicated to solving social issues across many spheres of activities in Japan and around the world, inside a building designed by Junzo Yoshimura and completed in 1962. 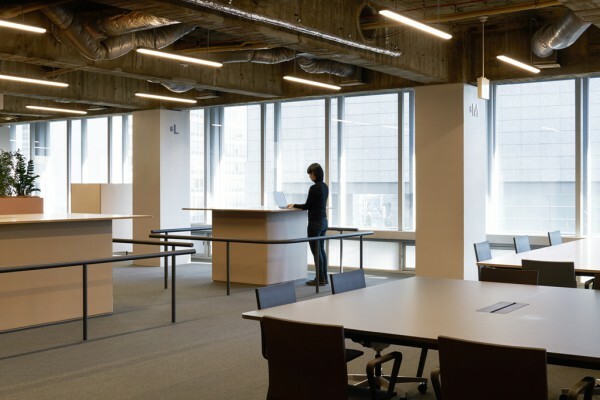 Inspired by the Foundation's goal of "becoming a hub of social innovation," we renovated 3 contiguous floors, to create office spaces, a cafeteria and coworking spaces to serve as a base for collaborating with outside contributors. Work spaces and meeting rooms are found on the 6th and 7th floors, while the cafeteria and coworking spaces make up the 8th floor. 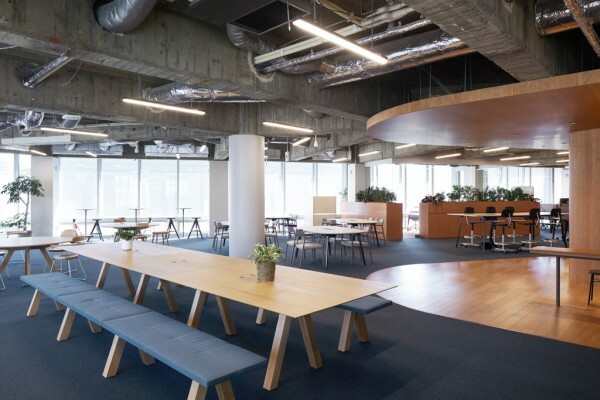 Utilities are concentrated on the core side of the work space along a chevron shaped area, whereas unassigned desks and meeting rooms are found along the outer periphery of the building. 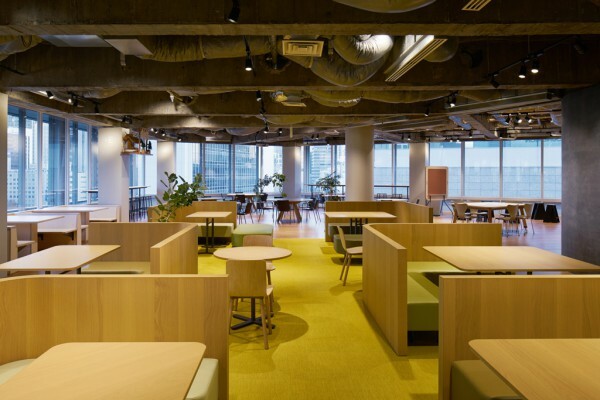 Moreover, common areas were secured at the center of the building to promote communication among employees. 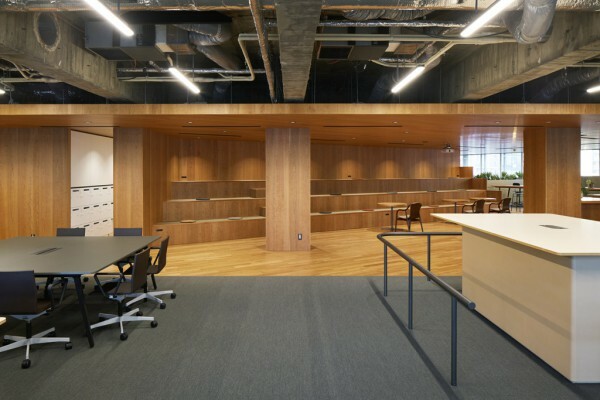 These include a stair-shaped space that can be used for resting and lectures on the 6th floor and spaces that can be used continuously for a certain period of time on a team basis on the 7th floor. 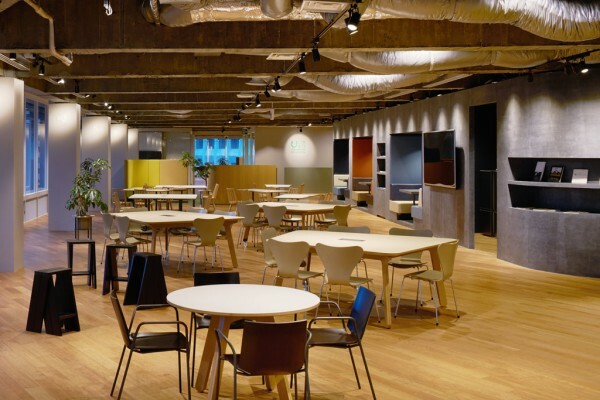 The volume created by the meeting room area as well as the surrounding cabinets and plants help create a soft zoning within the open work space with a skeleton ceiling. 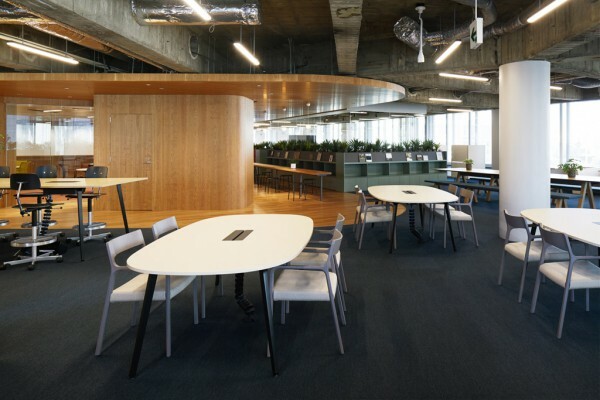 Between them can be found spaces allowing employees to choose to work while sitting at a desk, in a private booth or standing at a long high table. 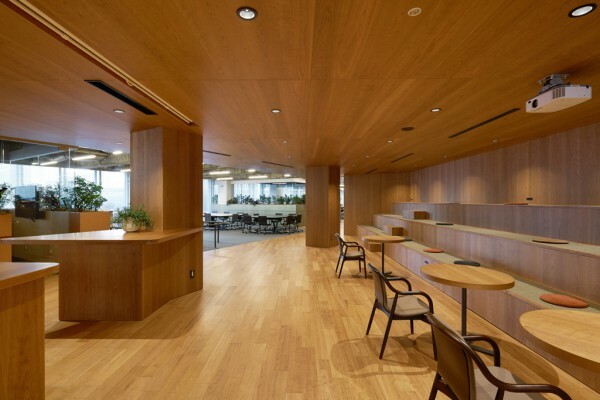 Cherry wood was used to unify the walls, floor, ceiling and built-in furniture of the common areas symmetrically positioned inside the core zone to create a warm and calm place as if it had been carved out from a single big tree. 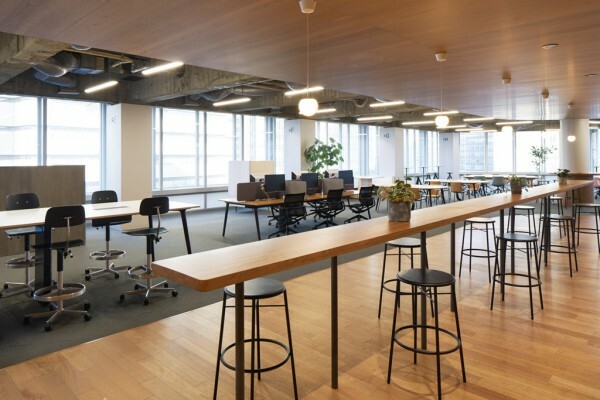 The cafeteria and coworking areas found on the 8th floor form an open space whose usage can be maximized outside of lunchtime to hold events and meetings, etc. The central core area combines the function of a dinning and event hall while a special plaster finish is used to give it unity and create a visual signature for the floor. 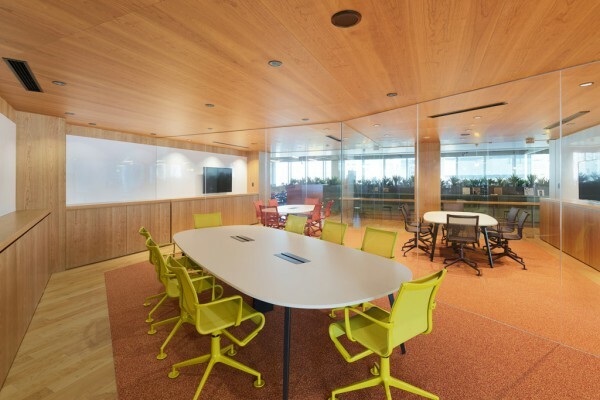 By contrasting the finishing materials, we endeavored to create a visual zoning that would enable the office to be functional and used freely and selectively.